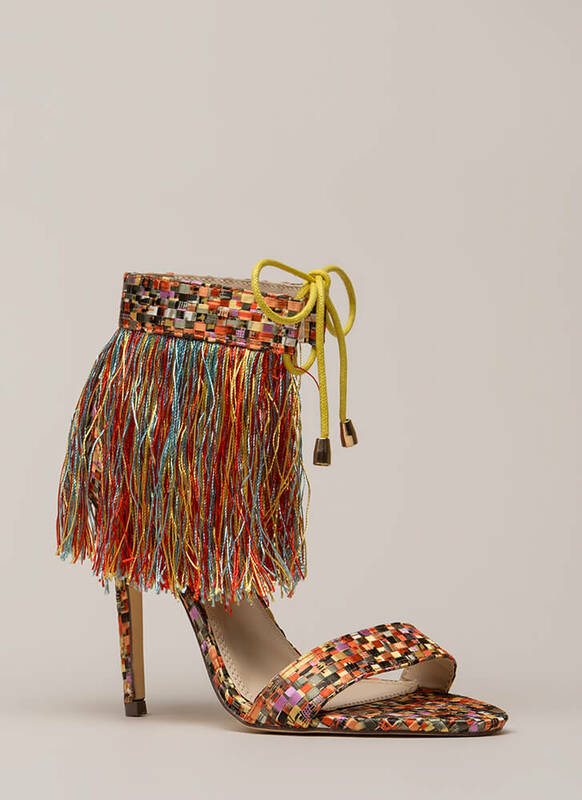 If you're a serious fringe fan, these are shoes you can't pass up. 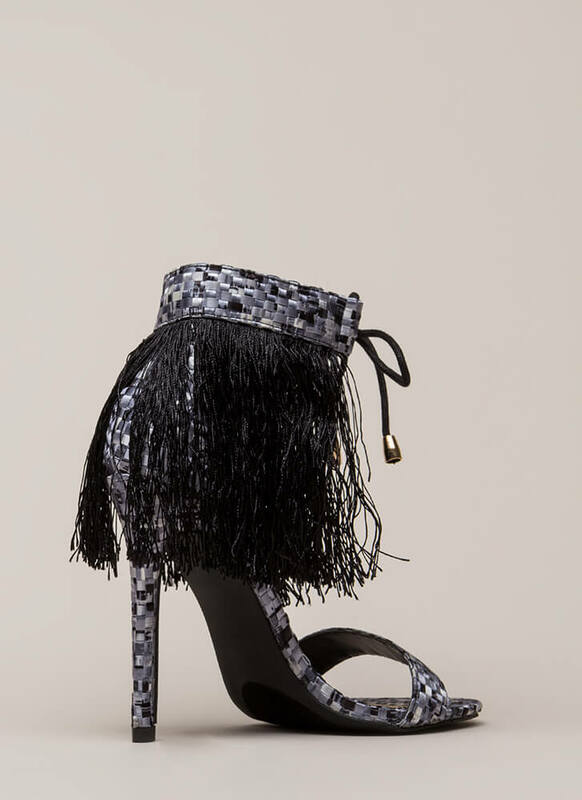 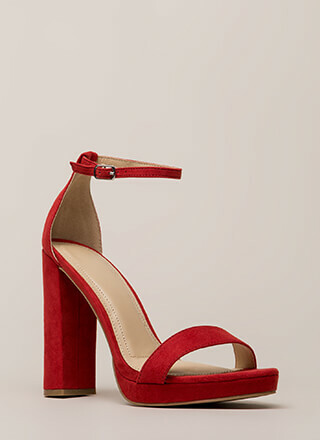 Open-toe heels feature a basketwoven texture throughout that resembles tweed and an ankle strap with self-tie strings and a panel of long thread fringe for a shaggy look. 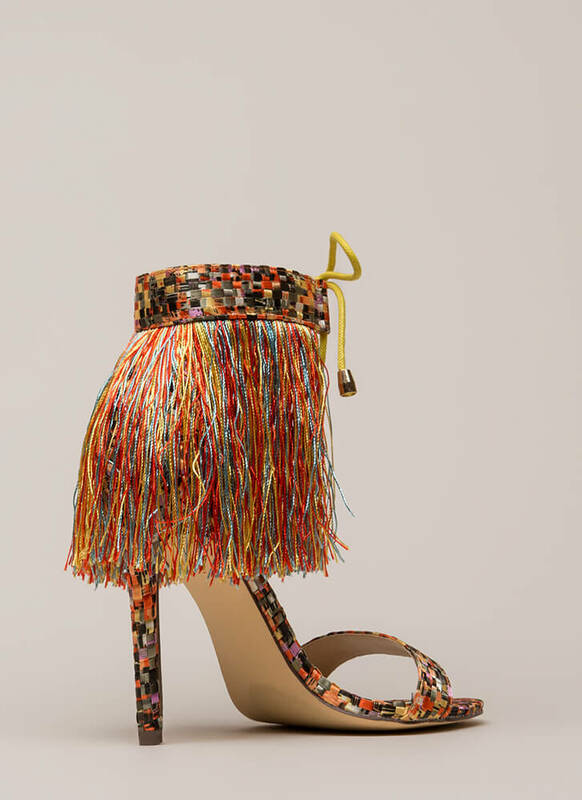 Shoes are finished with a stiletto heel, exposed sides, and a ridged sole. 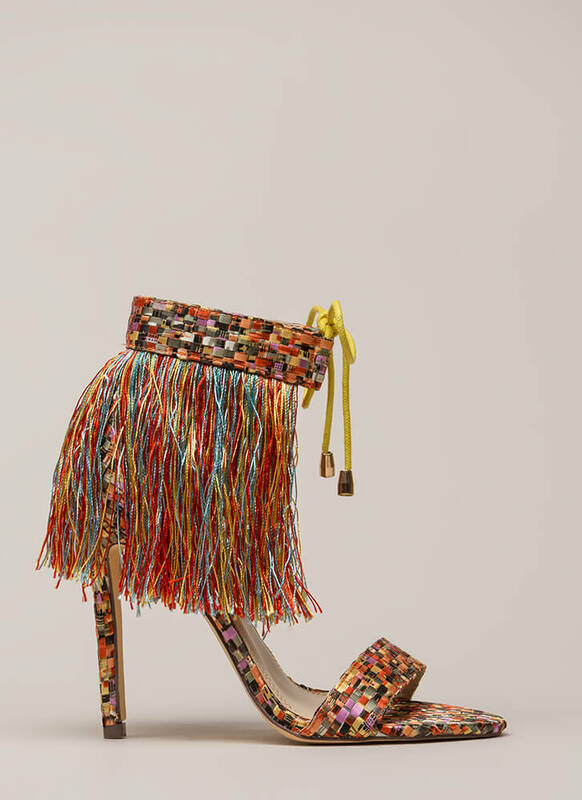 Pattern placement may vary.